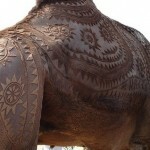 Found throughout India, Pakistan and the Middle East, these domesticated animals – created not only for work. They also provide milk and meat. 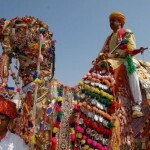 In addition, these animals take part in many festivals, including the world famous festival of Bikaner in the Indian state of Rajasthan. 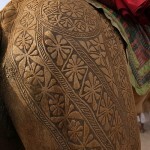 Besides, in the beauty contest for camels in Abu Dhabi and the desert Holistan in Pakistan. 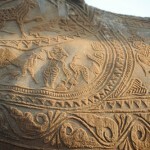 Meanwhile, it takes about three years to create such beautiful ornaments on camel. First, the hair is grown, trimmed and prepared, and then wool is cut off and only then painted to achieve a more spectacular effect. 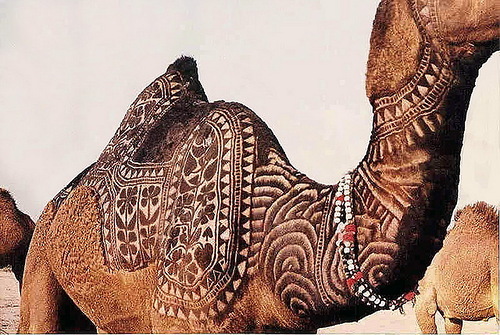 Undoubtedly, Arabs greatly value their camels and often call them “God’s gift.” They love camels so much that they gather every year to choose the most beautiful among them. 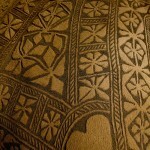 In particular, the Al-Dafra Festival, annually held in Abu Dhabi, UAE. 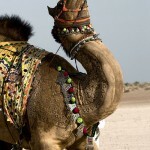 The highlight of the program is always the camel beauty contest – more than 30 thousand camels from all over the Persian Gulf region take part in it. 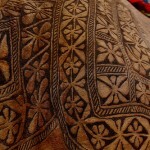 How can you appreciate the beauty of a camel? 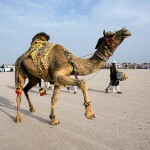 According to camel breeders and members of the organizing committee of the Al-Dafra festival, the judges pay attention, first of all, to camels with large heads, a wide neck, firm ears, broad cheeks and large mustaches. 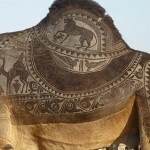 Equally important is that the body of the camel is long, the hump and back are large. Besides, the color of a camel also matters. In the contest there are two nominations. 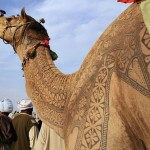 The first one determins the most beautiful light camel of the breed of Azael, and in the other – a dark camel of the breed Majahim. Unlike people, large sizes for a camel is always a plus. 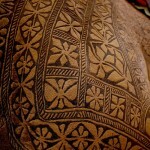 To select the most beautiful camels, there is a special committee, which chooses the winners, included in the top ten. Noteworthy, their owners receive luxury prizes – cars and money in the amount of 18 000 to 30 000 Dhs ($ 4900 – 8200). But it’s not just about money: the victory in the competition becomes a source of pride for a family owning a camel-winner. 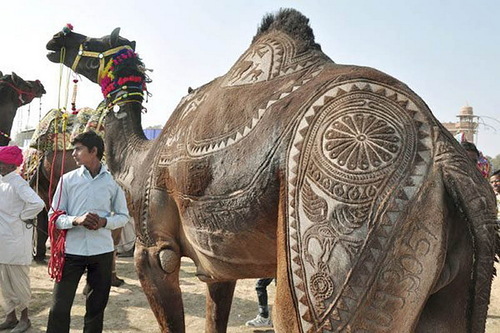 Recently, camels from countries outside the Persian Gulf, in particular from South Africa, have also taken part in the competition. 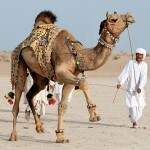 The UAE is home to more than 380 thousand camels. These strong creatures are able to withstand the harsh climate of the desert. 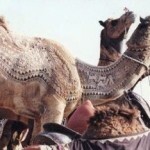 They are the source of milk and meat and transport for Bedouins, as well as potentially lucrative investments.